The Burkittsville Preservation Association is a non-profit historical organization preserving the cultural resources and built environment of the historic community of Burkittsville in rural central Maryland. The current project of the association, the restoration of the Hamilton Willard Shafer Farm, presents the association with several challenges. 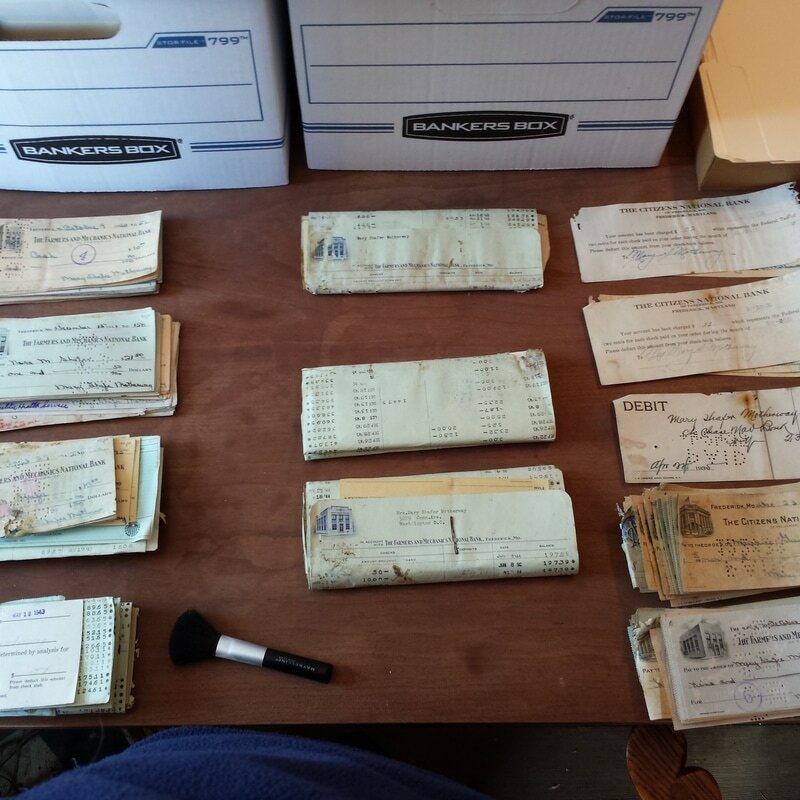 One of these challenges is the management and preservation of the hundreds of documents and objects recovered from the historic house, which has sat uninhabited for about 15 years. These records reflect the story of the farm and the families that lived here for over 150 years. This is where I come in as the consulting archivist for the association. I invite you to follow my blog to learn about the process of preserving, documenting, and making accessible the rich collection of materials from the Hamilton Willard Shafer Farm.